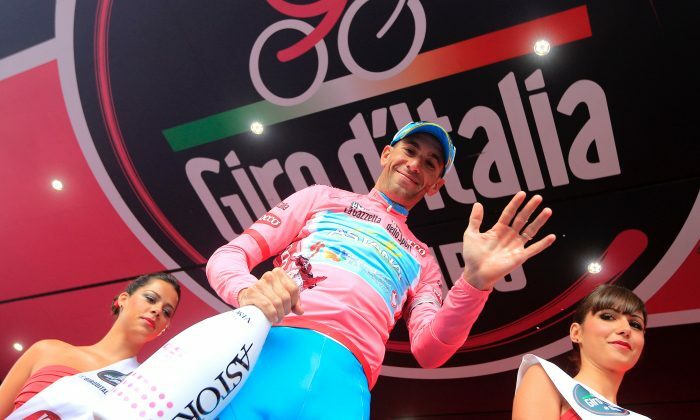 Vincenzo Nibali might have turned in the race-winning ride in Stage 18 of the 2013 Giro d’Italia. The 28-year-old Sicilian riding for Astana absolutely destroyed the opposition on the 20.6-km uphill time trial, finishing 58 seconds ahead of second-placed Samuel Sanchez of Euskaltel and 1:20 over Cannondale’s Damiano Caruso in third. Cadel Evans might have lost the race with his ride in Stage 18. The BMC rider finished 24th, losing more than three minutes to the race leader. Evans, now 4:02 behind Nibali, hangs on to second in General Classification by only ten seconds over Sky’s Rigoberto Uran, who finished sixth in the stage. It is still possible for Evans or Uran to win, but only if Nibali had a totally disastrous day in one of the upcoming two mountain stages. While this is possible, Nibali has shown absolutely no sign of weakness throughout the Giro. All he has to do is mark his rivals and the maglia rosa will be his in Brescia. “Did I have a poor time trial? I’d say it was a very bad time trial, a lot worse than I expected,” Evans said told the cycling news site. “Till this point I’ve made a few mistakes but nothing big. But when you’re near winning, it’s great, but perhaps that’s when your hopes rise above your capabilities. But overall today wasn’t what I was looking for or what I was expecting. “As I’ve always said, I came to the Giro with high hopes but without expecting too much. Today I gave it everything but when we have a short stage, like at Bardonecchia or today, I’m not at the level of the best riders here. That probably comes down to my ability to recover in the third week. “Nibali deserves to win the Giro,” he concluded. As happened in Stages Fifteen and Sixteen, bad weather has forced race organizers to alter a mountain stage. Stage Nineteen will still include three categorized climbs, but the first two—the Cat One Passo Gavia and the Hors Categorie Passo della Stelvio, have been dropped. In their places, riders will climb the Cat One Passo del Tonale and the Cat One Passo Castrin. Total stage length increases from 139 to 160 km. Temperatures well below freezing and unseasonally late snow would have made the descent from the original climbs too dangerous. Besides the risk of crashes at more than fifty mph, riders would have been facing win-chill temperatures of 20 to 30 degrees below zero while soaked in sweat from the hard climbs. Already a score of riders have withdrawn due to cold rain and a lung infection which has afflicted the peloton, including pre-race favorites 2012 Tour de France winner Bradley Wiggins and 2012 Giro winner Ryder Hesjedal. Race organizers have changed part of Friday’s Stage 19, removing two high mountain passes because of heavy late-season snow. Vincenzo Nibali did not seem troubled by the change in route.